There was a land in the southern of the middle earth, A land that had unbelievable beautiful scenery. A land that always raining. A land where elves lived. The land is better known as home of thousand waterfalls. welcome to Milford sound! 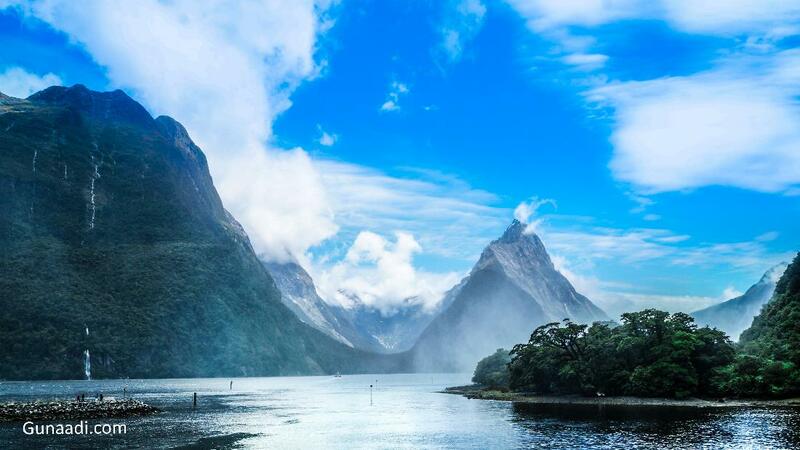 Milford sound is a must visit while you are visiting New Zealand. It's a fjord in the south west of New zealand's south island. Fjord is a long, narrow inlet with steep sides or cliff, because of glacial erosion. The rainfall rate in this place is very high and it considers as the wettest inhabitant place in New Zealand. Most probably, it is raining everyday but that is what make Milford more beautiful. why? keep read this article! 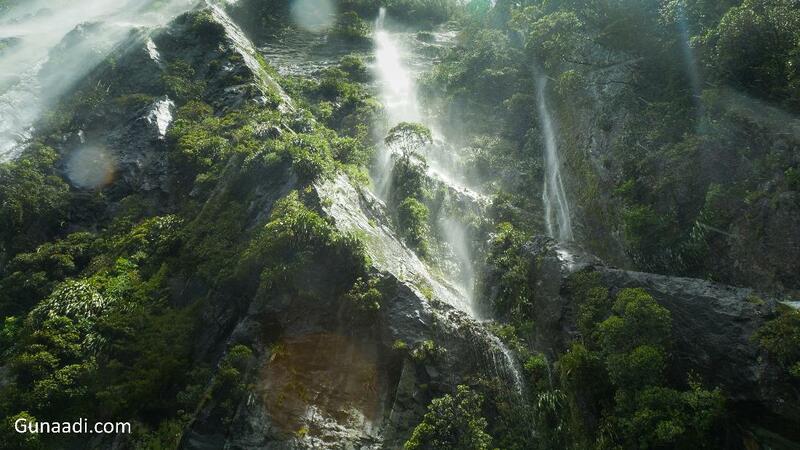 7:00 - 12:30 : Travelling from queenstown to Milford sound with intercity. it was a long journey but we had some stop for resting and sightseeing. Travelling to Milford sound can be done using bus, private car and even helicopter (seriously but you have much money). Helicopter and car wouldn't include in my option. My best deal was joining a tour. The tour usually departed from Queenstown or Te Anau. I was confused which one the tour that i gonna used. 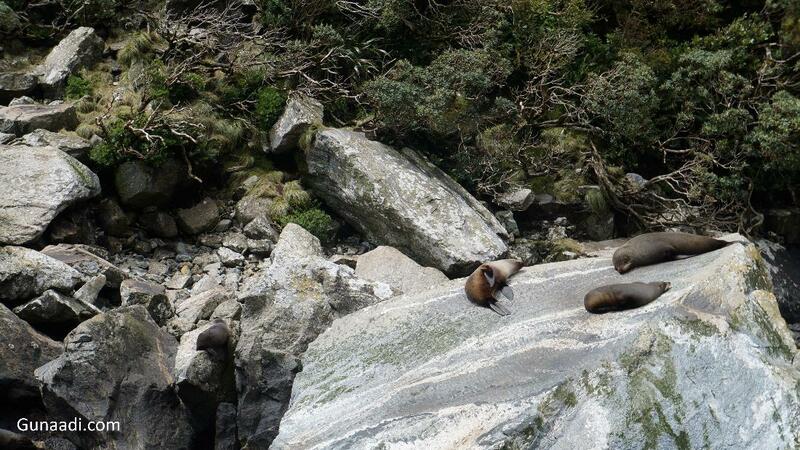 There were a lot of provider offered a tour to Milford Sound like Intecity, Nakedbus, Realjourney, Jucy and many more. The tour can be bus + Cruise or just cruise depending on your preferences. All the provider is recommended so the only that you need to consider is the price. Price always become enemy for budget traveller like me. In my trip, i was only interested with Jucy and Intercity. because i saw a lot of discount from this provider in bookme.co.nz. The price could be as low as 50 NZD (Normal Price was more than 120 NZD! more than half price!). However, It usually gave a random date for discount price. Too bad..there was no discount at the day that i wanted to go so i left this provider. I was trying to look other provider and Intercity give cheaper price than other. I got 119 NZD for bus and cruise package. Others gave more than that for the similar package. At least, i could save some. The driver, bus and cruise was very good. The driver could be considered as a guide because he explained all the thing along the way. He was very talk active, funny and knowledgeable. She says, "Switzerland also has beautiful and similar scenery like this country but New Zealand is wide! Maybe New Zealand is a big Switzerland!" Heavy rainfall tends to create a series of temporary waterfalls. It means you will see more waterfall than you expected! The driver started to talk with his crunchy voice. He introduced himself and explained about the trip. I never expected that this trip will be guided. I thought it was a normal bus which will bring me from A to B. A lot of natural and human made phenomenon was happened along the journey. The driver explained it very well. I had chance to see a Kea, a species of parrot habitated in New Zealand. The driver said that it was named base on the sound it made "kea...kea..kea..". "Do not worry with the rain, it is your lucky day. the rain will make Milford much more beautiful"
The rainfall rate in this place is very high and it considers as the wettest inhabitant place in New Zealand or maybe one of in the world. The peak are December and January. 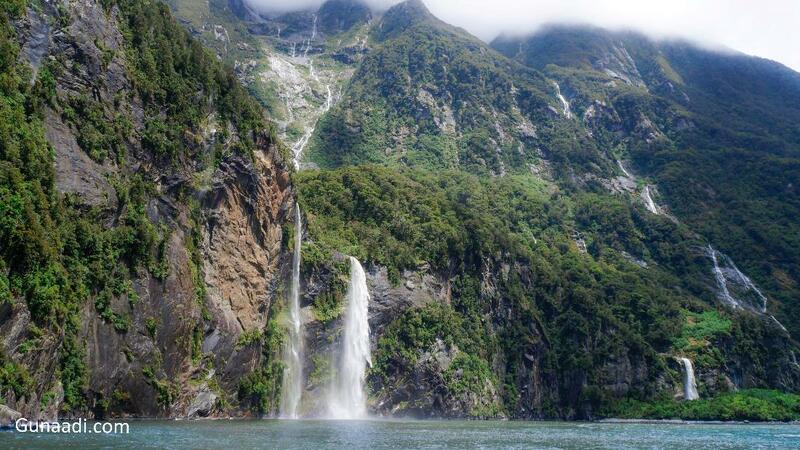 Even though most places on earth don't get benefit for being wet, Milford Sound does. Heavy rain tends to create hundred more waterfall there! After i experienced it, i agree with it! Suddenly, the sky turned blue and the sun was looked eager to show his shine. The driver said that we were almost there. It may be my lucky day, raining along the way but sunny when arrived. Believe me, it almost made me cry. The Milford sound was so beautiful. On the cruise. I met a guy from Malaysia. He said, "We are neighbours!". He was also a solo traveller like me but i guessed that he is a professional photographer. His gear was much better than mine. At least i had someone who able to take my picture. a dilemma for a solo traveller when we want to take a picture of our self. The Camaran sailed away. The route was circling the Fiord until the border with ocean. It was 2 hour sailing but i didn't fell that it was enough to enjoy it. The scenery was very beautiful. I found some lazy seals sunbathed on the rock. I heard some people also see some whale there.